Credit: Alex Bailey/ Warner Bros. Entertainment Inc. Being the slightly unhinged feminist that I am, Wonder Woman coming out was nothing short of euphoric. I sat through the torture that was Margot Robbie’s Buttocks in Fishnets: The Movie, so experiencing a DC film that actually had a plot for women (or a coherent plot at all) was marvellous. I would definitely rate Wonder Woman as one of the best movies I’ve seen this year, but every rose has its thorns. Even Gal Gadot’s remarkable cheekbones couldn’t distract me from some of the gaping weaknesses present in the film. First of all, there are a few beyond tiresome tropes which cheapen an otherwise ground-breaking film. You have the somewhat lazy ones like the tragic self-sacrifice and the death of a significant figure in the protagonist’s life, but I’ll let those ones slide. Even if it’s a bit predictable, they at least have the purpose of character development and moving the plot forward. However, I have a very big axe to grind for all the fish-out-of-water rubbish. We get it, an Amazonian goddess hasn’t experienced an industrialised city before. Diana’s very black and white viewpoints on good, evil and feminism give a refreshing and necessary simple outlook during a time where everything was morally ambiguous. But was a fashion show of all the ‘hilarious’ poofy dresses Diana didn’t suit really necessary? What’s next, is Palo going to come and make her the Princess of Genovia? It got a bit too ‘Disneyfied’ and chick-flick-esque for my liking. Diana’s innocence was reminiscent of Enchanted. It becomes a little grating after a while, and verges on being childlike. The result of this is making her relationship with a lot more mature and experienced Steve seem a little creepy and predatory of his part. Wonder Woman’s main selling point was the feminist connotations with the titular character. This is achieved successfully in many ways in the film, but some facets of sexism still manage to slip in. Perhaps it isn’t purposeful, just telling of the Hollywood industry. One way this movie fails feminism is with the character of Etta, whose main purpose is to serve as a contrast with Diana. It is suggested she has feelings for Steve, but he is more drawn to Diana for her (as noted several times in the film) ‘beautiful’ appearance. Even though Etta conforms to society of that time through her role as an assistant, she is not a conventional woman, and evidently neither is Diana. The ways in which they differ is through their appearance and how the male characters subsequently perceive them. The result of this division? Even though there are deep underlying feminist themes in this movie, it could be implied through these characterisations there are still superficial standards women must meet before they are taken seriously, and not as a comic relief. Finally, there were a few inconsistencies in what the film set up and what it actually delivered. 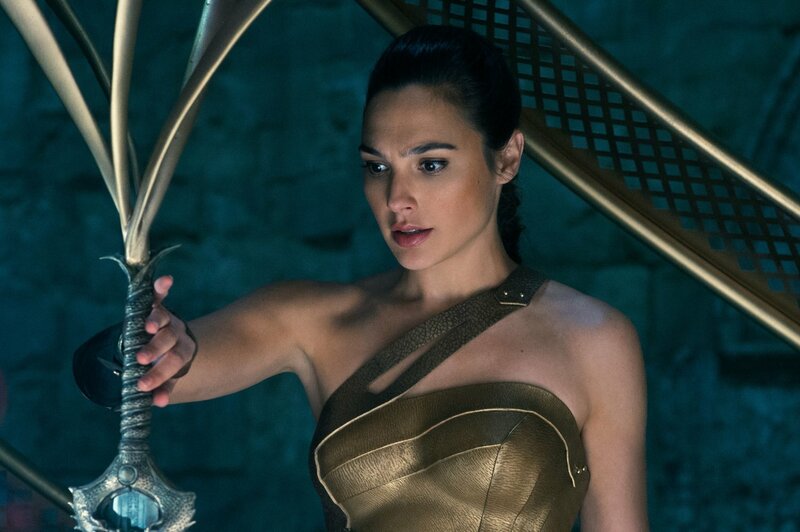 The first quarter of the film focuses on Diana’s homeland, where all the Amazonian princesses of this island are seemingly trained all day everyday to fight and defend themselves. If it wasn’t such an important part of their lifestyle, surely Diana wouldn’t feel as if she were missing out by not doing it in the first place? Now, consider when Diana is prepared to go to Earth and fight to end the wars. Do all the trained, skilled fighters utilise their life’s work and go with her? Nope, they just wave her off to carry on training with no real purpose in mind. I guess maybe they’re just really bored on that land? There is also the issue of the villain Ares. From the outset, he is set up as the main antagonist of the film that has a rich background history to delve into. That in turn makes his unveiling as the mild-mannered Sir Patrick Morgan a little anti-climatic. I understand that the villain should be a character that nobody expects, but the character was so boring and insignificant that the reveal seems forced. It attempts to shoehorn an unnecessary plot twist for a character which is, frankly, rather boring and forgettable. Hardly antagonist material. Although the marketers of La La Land tried to convince you otherwise, there is no such thing as a perfect movie. Wonder Woman became pretty damn close, but some of these issues are so fluorescent they outshine an otherwise very self-aware film. Wonder Woman (2017), directed by Patty Jenkins, is distributed in the UK by Warner Bros., certificate 12a.